Your time is completely filled, often with overlaps in meetings, some with multiple things scheduled at the same time. The demands on your time exceed what you can schedule—and you do a lit of shifting/juggling. Your to-do list isn’t getting shorter, in fact it’s getting longer–and you seem to be completing fewer things each week. You’ve never been busier. You may feel like you are accomplishing a lot-because of your activity levels, but at the end of the month/quarter/year, if you made your numbers it was probably a real struggle. You don’t see things getting better. It seems getting things done is just harder–not just the volume of things we have to get done, but the process of it. Working with our customers is much more complex—more people involved in the Decisionmaking Process. Track the CEB numbers—when Challenger first came out, the number of people involved in complex decisions was about 5.3, about 18 months ago it went up to 6.8. I suspect when I speak with Brent and Nick in a few weeks the data will have changed, probably going to over 7. Our customers buying processes are not only more complex, they are getting longer (with far too many ending in no decision made). But it’s not just our customers–within our own companies, getting things done is getting harder! Because we have complex solutions, we have more people involved in the selling process. We need to get specialists, support and others involved. Increasingly we have to tailor deals to respond to our customers needs. We need help in configuring/assembling the right solution, pricing, contract changes, we need some special support, a modification in shipping/supply chain issues—whatever it is, we are spending more and more time getting things done within our own companies, robbing us of the time we need to work with customers. Even if we are selling standard products, there is no such thing as a standard deal. We do all these things, struggling to get our jobs done. But we have to do all these things, otherwise we don’t get our jobs done. I face it too–at first I hoped I could invent the 8 day/3o hour week–but I gave up. I did send a request to Elon Musk, he seems up to the challenge. Our clients face the same thing. They asked us for help. Most of the time, we would focus on the customer side. We focused on how they sold, looking for ways to improve results/productivity: How can we compress sales cycles, how can we increase win rates, how can we improve average deal sizes. We spend a lot of time looking at time management or at tools to help productivity. Usually, we can do a lot—often time to results is a challenge, the change management process is a challenge, or other things. We help clients address these issues, but we realized we were missing a huge opportunity to drive sales productivity. We started focusing internally. What are the things that detract from the time sales people can spend with customers? We had noticed, anecdotally, in our largest clients, sales people were spending a lot of time getting things done internally. We started measuring Time Available For Selling. That is how much time were sales people actually spending working in deals. There are a lot of ways to define this, but often we look at: Time spent preparing for a customer meeting (F2F or V2V), time spent with the customer, time spent in follow up. The results were stunning—all with large, relatively high performing organizations. Typically, we would see Time Available For Selling in the 9-22% range! The immediate question is, “What’s happening during the other 91-72% of their time?” These folks were incredibly busy, a lot of the time drains were the activities necessary to get things done in their own organizations. For instance, getting support, getting approvals, working with others to generate proposals, working on pricing/contacts, and so forth. All of these were necessary activities to getting deals done, but all were time away from working with customers. It turns out one of the biggest drains on sales productivity is the complexity of getting things done within their own organizations! Without changing anything about how people sold, if you could just make more time available for selling, there was a potential for huge gains in sales productivity/win rates. For example, we measure one very large client’s time available for selling. It was about 17%. Over 20 months, we got it to 36%–more than doubling the time available for selling, driving the potential for much higher results. In looking at the time drains, we found a number of cumbersome, slow processes. By just simplifying and streamlining many of their most cumbersome processes, we freed the sales people up to spend more time with customers. We see this with virtually every organization we work with. Years of legacy systems, old processes, programs—all layered on top of each other. Organizations have tendencies not to stop things, but just to layer to programs and processes over the old ones. Many organizations, after a number of M&A activities had redundant and confusing processes and workflows. Simply by simplifying your own operations, you have the possibility of dramatically improving sales productivity! It starts with knowing a few basic things. 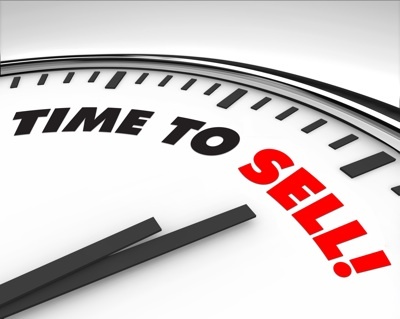 Do some research and analysis–measure time available for selling. You will probably be shocked and how low it is. Once you know that, look at your internal workflows and processes–look at things that you can stop or eliminate, things that you can simplify. Consider whether the sales people should be doing these things, or are they someone else’s responsibility. Just the process of simplifying your business, can drive tremendous internal improvements and cost reduction, but more importantly, it frees sales people up to concentrate on what they are accountable for: Working with customers! Afterword: If you need help assessing things like Time Available For Selling, reach out. It ends up being pretty easy to do some assessments of this. Making B2B More Like B2C Sales?? ?